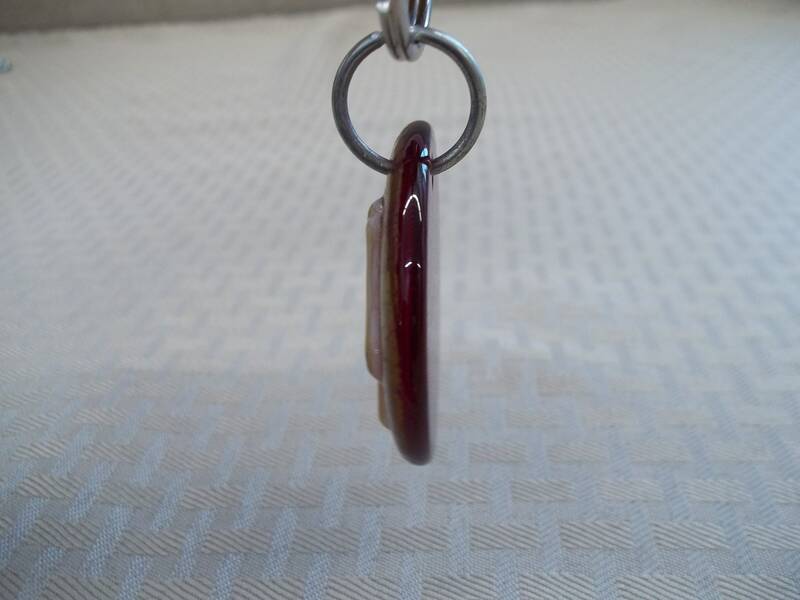 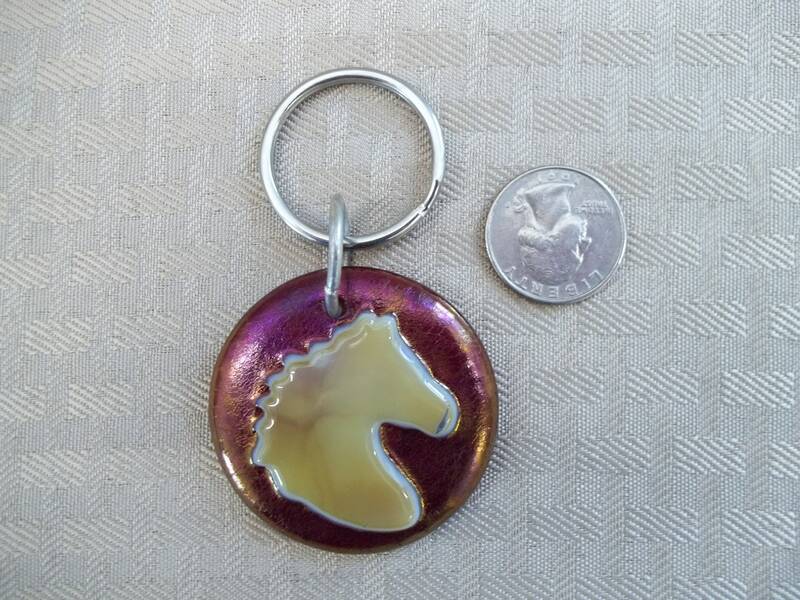 Measuring 2" in diameter, this key chain is a one of a kind, unique item. 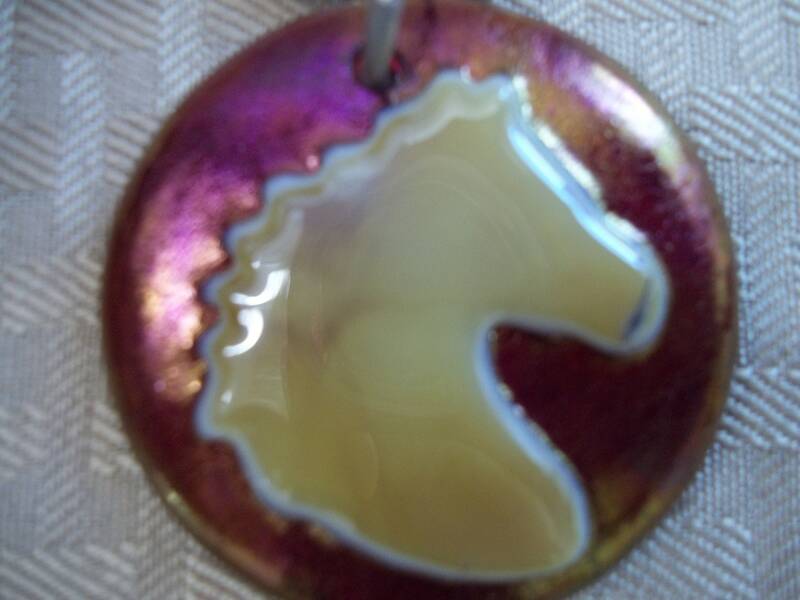 All of the glass was hand cut and fused in a kiln using an iridescent red background with a tan and cream glass for the horse. 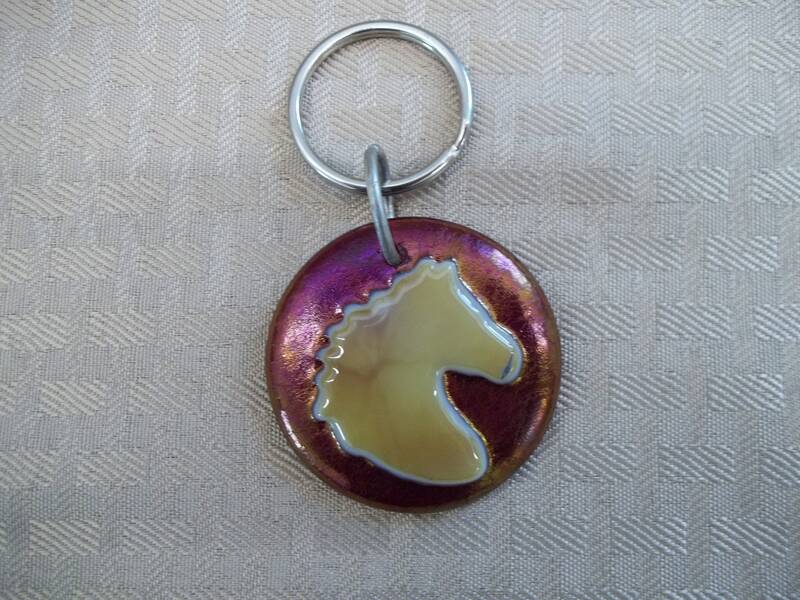 If you look closely you can see a cream border around the horse.